The Kershaw Squaw Creek knife is a small pocket knife with a 2 inch blade. When opened this knife is just over 4 inches long. Weighing at only 1.4 ounces the Squaw Creek will not take up much room in your pocket. The blade is made of AUS6A stainless steel. 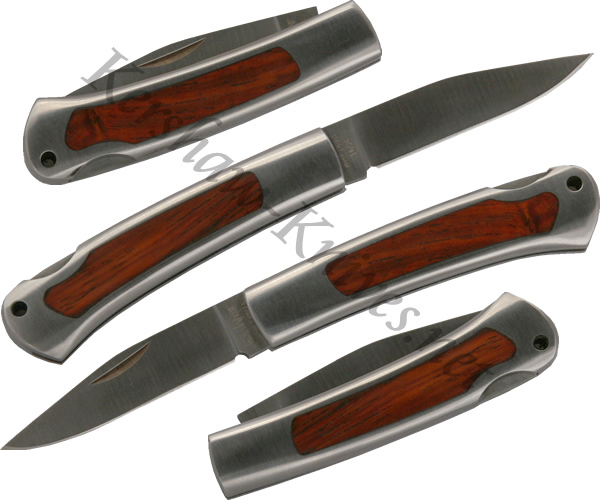 The handle has satin finished bolsters with a rosewood inlay. A lockback releases and locks the blade.